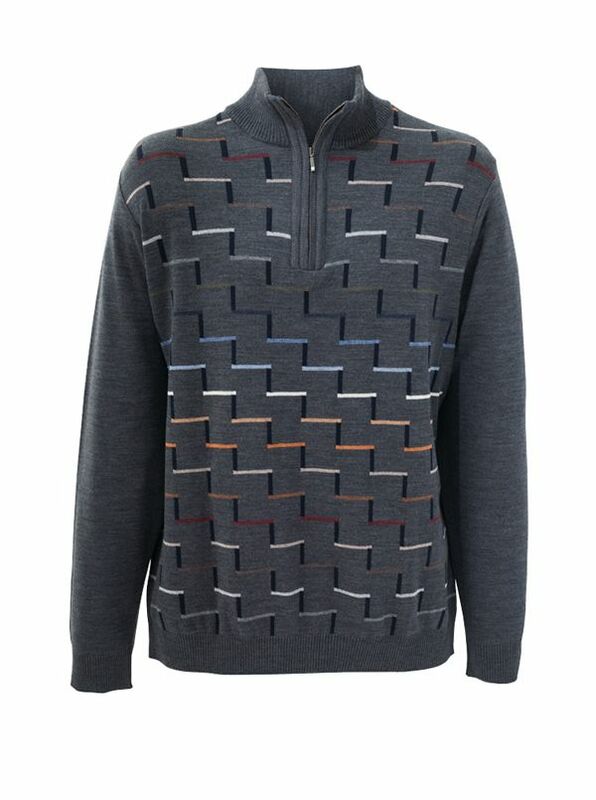 Stephens Merino Wool Zip Mock, with a sporty vertical intarsia design front and back, with solid sleeves. Flawlessly knitted in America of fine 90% Australian Merino Wool with 10% microfiber for resilience and shape-retention. Zip placket, ribbed knit cuffs and waist.